Dr. Sarath de Alwis is a Consultant Obstetrician and Gynaecologist with CTMH | Doctors Hospital. Dr. de Alwis specialized in the UK and is a British Citizen. He is a Fellow of the Royal College of Obstetricians, Gynaecologists and Surgeons UK, a Member of the Royal College of Physicians UK and a Fellow of the Faculty of Sexual & Reproductive Healthcare UK. He happens to be one of the highest qualified doctors in the world. 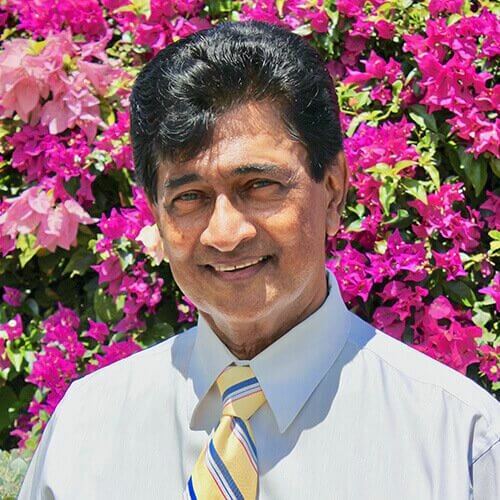 Dr. de Alwis came to the Cayman Islands in 1994 as the Head of Dept. in Ob/Gyn at the George Town Hospital. In 1996, he opted to work in the private sector as a senior Specialist/Consultant. He is presently practicing at CTMH | Doctors Hospital and is an Associate Professor of St. Matthew’s University School of Medicine. Dr. de Alwis’s primary interests are Infertility, Cancer Screening, Reconstructive surgery, HRT, Endoscopic surgery, and pain relief. Dr. de Alwis’s wide experience in this area spanning over 35 years of practice, has made him an expert in this difficult field. His Laparoscopic surgery method earned him a Harvard recognition and it was named after him as the ‘De Alwis Method’. Appointments with Dr. de Alwis can be booked by calling 345.945.6066.